Ohio State University’s College of Veterinary Medicine is where Dr. Perry Ragon received his degree. 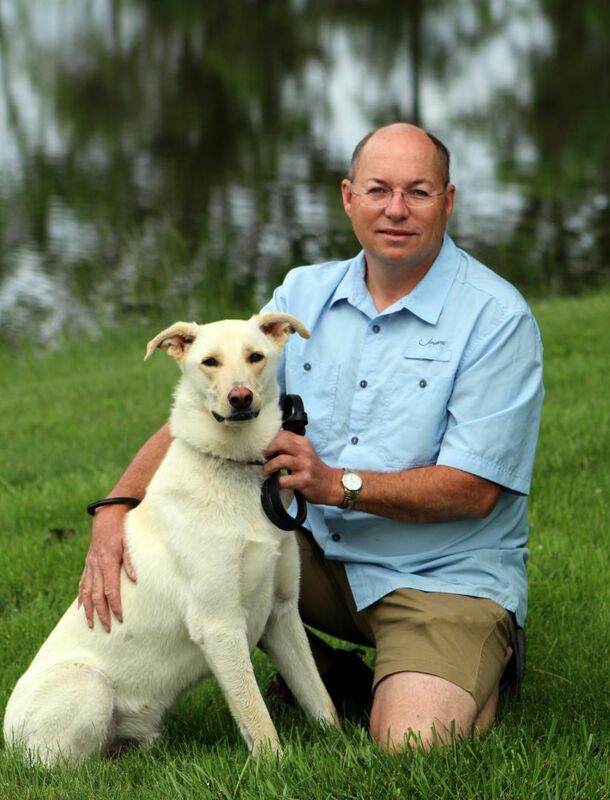 He began working at Kern Road Veterinary Clinic in November of 1992. Since joining the team, his primary responsibilities have been working with horses. 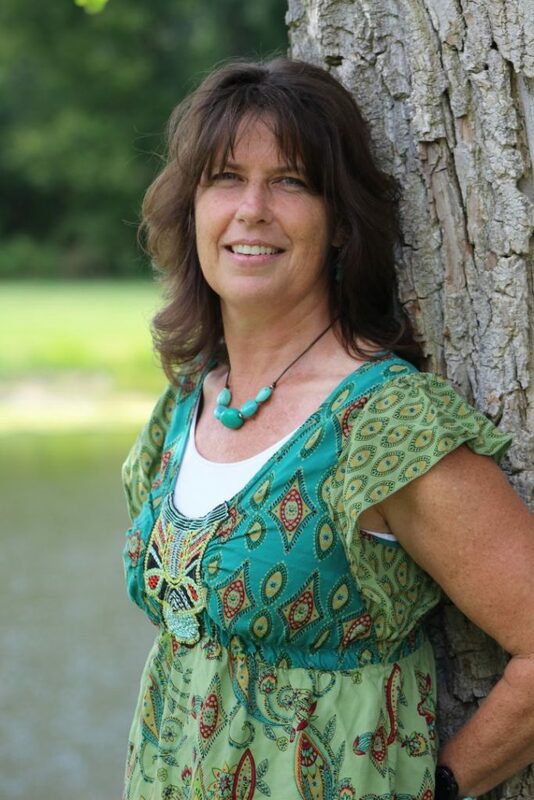 Dr. Ragon is married to veterinarian and equine fertility specialist, Dr. Amanda Ragon and has three children (Luke, Cole and Clay), two dogs, four cats, one horse, three sheep and one cow. When not helping animals, he enjoys all outdoor activities and is very active in youth sports. Dr. Ragon’s overall desire to help animals and people makes being a veterinarian one of the most enjoyable and rewarding professions available. Dr. Peter Esterline graduated from Michigan State University College of Veterinary Medicine in 1992 and specializes in equine medicine. While attending MSU he was a member of the MSU Equestrian Team and was the recipient of the Large Animal Surgery Award from the college of veterinary medicine. Dr. Esterline’s wife Joan, owns and operates Silverfox Equestrian Center in Williamston, Michigan. There, she trains and shows dressage horses. Dr. Esterline and Joan have one daughter, Kate, who loves competing at local and regional dressage competitions. Dr. Esterline enjoys spending his free time fishing and relaxing in the outdoors. 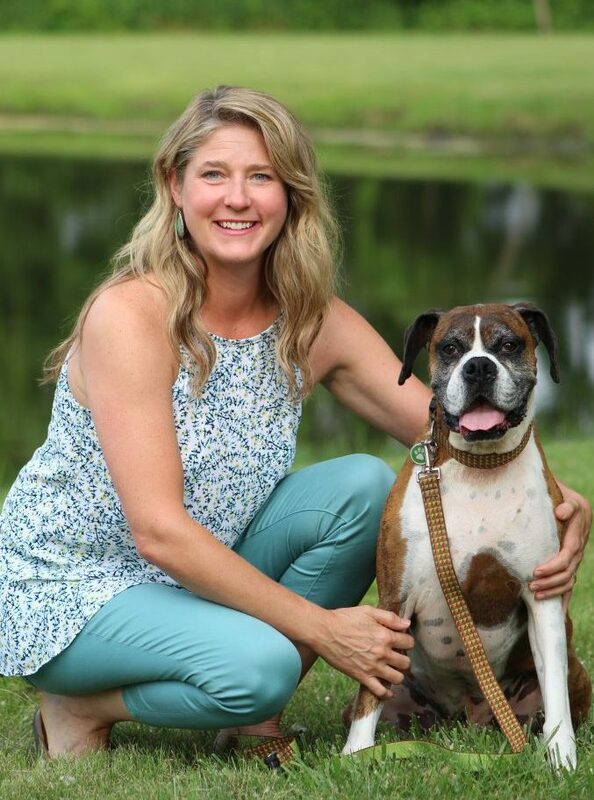 In addition to being a practicing veterinarian, Dr. Shrader is also a wife and mother. Her husband Bret, is a high school mathematics teacher and coach here in the community, and her sons, Jack, Will and Sam are all avid sports fans. Dr. Shrader’s family is not complete without mention of her pets. She has a boxer named Anakin, a Percheron named Caleb, as well as all the other family horses. Dr. Lauren Gnagey was born in Mobile, Alabama and moved to a number of places as a child, including Lansing, Michigan. She eventually ended up back in Alabama where she graduated from high school. 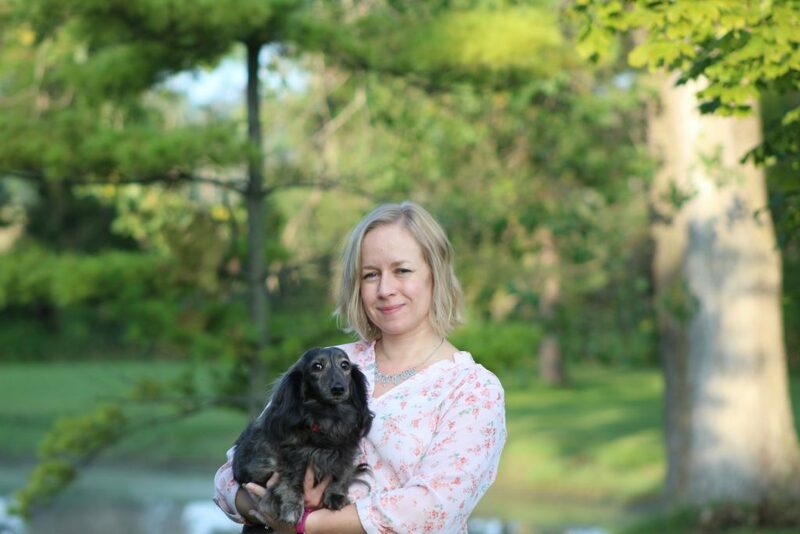 Dr. Gnagey first became interested in veterinary medicine after attending Vet-A-Visit at Michigan State University in eighth grade. She loves science, solving problems and animals so it was a natural career choice. Dr. Gnagey attended Michigan State University where she earned a BS in Animal Science with an emphasis in Equine Nutrition and continued to earn her Doctor of Veterinary Medicine degree. Dr. Gnagey spends her spare time with her husband, Ryan, daughter Anna, son Liam and cats Noodles & Thomas and long-haired dachshund, Dottie. She also enjoys art, needlework, playing the violin and MSU basketball! GO STATE! Dr. Iris Foote graduated from Michigan State University College of Veterinary Medicine in 2016. 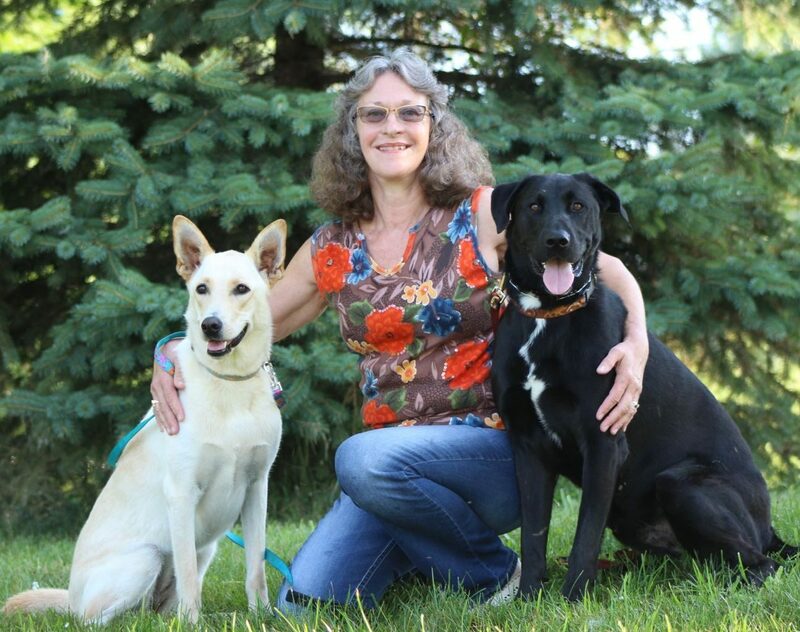 During her time at Michigan State, she obtained her certification in veterinary acupuncture at The Chi Institute of Veterinary Acupuncture with a focus in horses. Dr. Foote was born in Traverse City and raised in the Greater Lansing area. She instigated her family’s interest in horses and was finally able to own a horse of her own when her family moved to the Okemos area. She helps to manage the family’s donkey and horses as well as the family cats. As a hobby, Dr. Foote primarily shows low level dressage but loves to attend any horse event. In her free time, Dr. Foote likes to ride her Friesian Fred, read novels on the Civil War and ancient Rome, and watch English mini-series. She is thrilled to be part of the Kern Road team so she may remain close to her family and friends. Dr. Erin Howard joined the Kern Road staff in June of 2016. 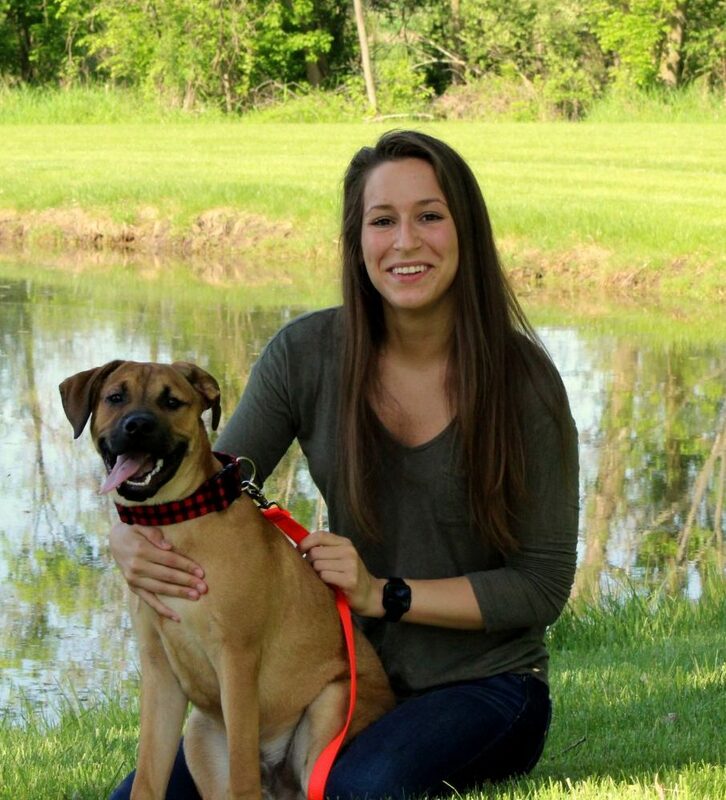 She graduated from Michigan State University's College of Veterinary Medicine in 2009, and received a Bachelor's degree in Animal Science from MSU prior to her veterinary training. 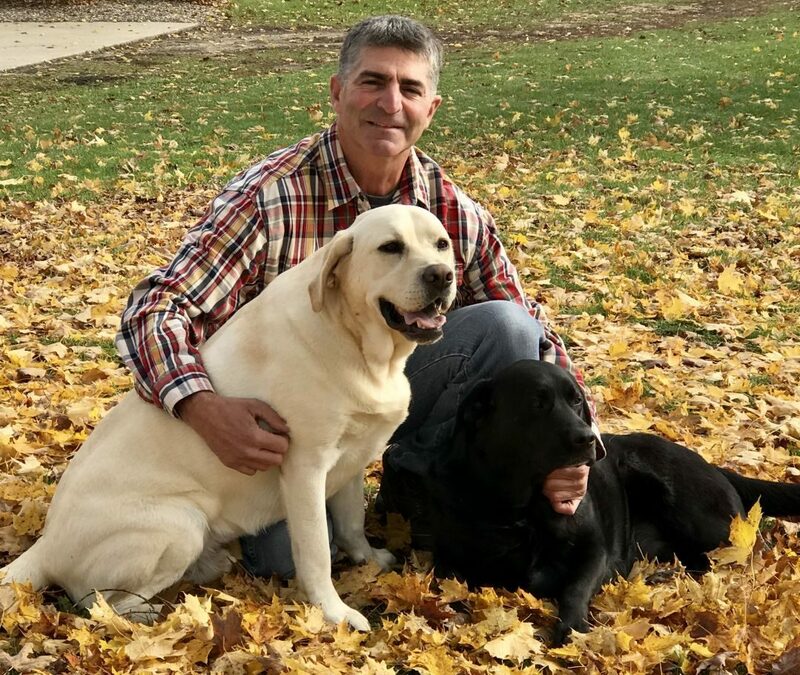 Dr. Howard grew up in Eaton Rapids and practiced small and large animal medicine in Charlotte for 7 years before making the move to Kern Road. Dr. Howard has special interests in emergency medicine, internal medicine, and rehabilitation/physical therapy, as well as adding small ruminant (sheep, goats, llamas, alpacas) medicine and surgery to Kern Road's services. She is on the Board of Directors for the Michigan Veterinary Medical Association, is the Chairperson of the MVMA Food Animal Practice Committee, and is a member of the MVMA Wellness Task Force. Dr. Howard volunteers frequently at veterinary student meetings and events, as well as speaking to 4H and FFA groups. In her spare time, she enjoys chasing after her 3 boys, running road races, reading, gardening and spending time outdoors. She is very excited to be a part of Kern Road's family! Dr. Heather Murphy graduated from Michigan State University College of Veterinary Medicine in 2017. She also holds a degree in Animal Science from Michigan State University. 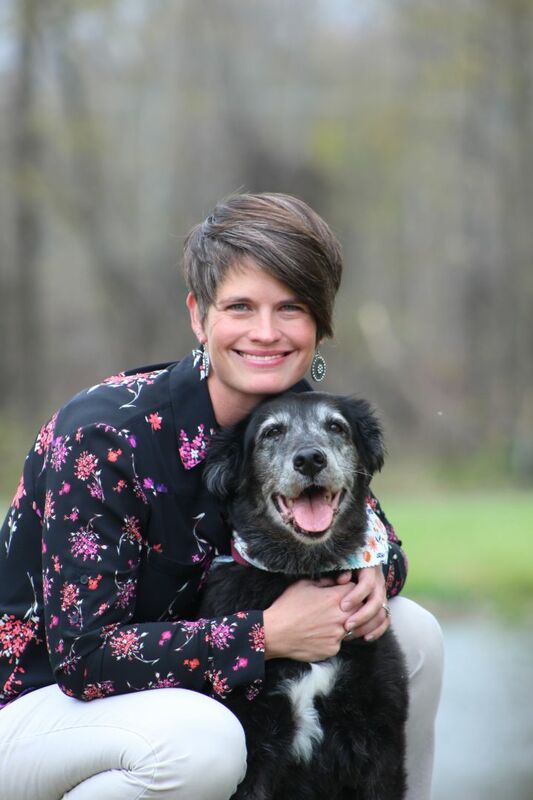 Dr. Murphy grew up in Indian River, Michigan where her passion for veterinary medicine and horses started at a young age. While pursuing her undergraduate degree, Dr. Murphy spent a year in Ireland working on a Thoroughbred stud farm with broodmares, foals and yearlings. Dr. Murphy received the Moxley Award for Excellence in Equine Medicine from the College of Veterinary Medicine. Dr. Murphy’s husband, Paul, is a diesel mechanic. Together, they have an energetic son named Sean. Their home is not complete without mention of their Labrador retriever (Nora), beagle (Charlie), cat (Murph) and guinea pig (Fanta). In her spare time, Dr. Murphy enjoys spending time with her family, horseback riding, reading, gardening and trying new baking recipes. She is absolutely thrilled to join the Kern Road team. Jenni graduated from Baker College in 2008 with an Associate’s degree in Applied Science/Veterinarian Technician. 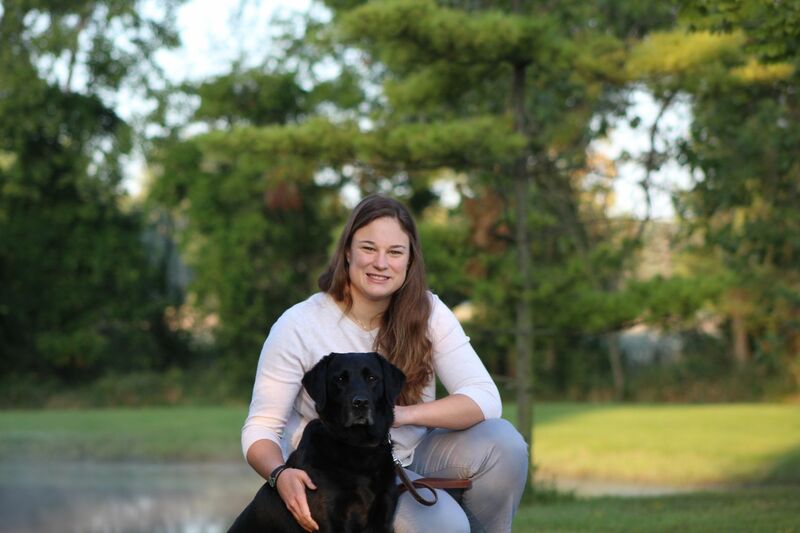 After graduating, she moved to North Carolina and worked as a Registered Veterinary Technician. In 2012, Jenni and her husband, Jason had a beautiful daughter Ella and decided to move back to Michigan to be close to family and friends. After moving back, Jenni worked in a Veterinary Emergency Room for a year before joining the Kern Road Team in 2014. Jenni and Jason also had their second daughter, Gemma in 2015. Jenni’s family lives in Fowlerville with their cat Ms. Bing Bong and dog Opie. When she has free time she likes to go to the beach, bowling and spend time with family and friends. Natalie joined the KRVC team in July of 2017. 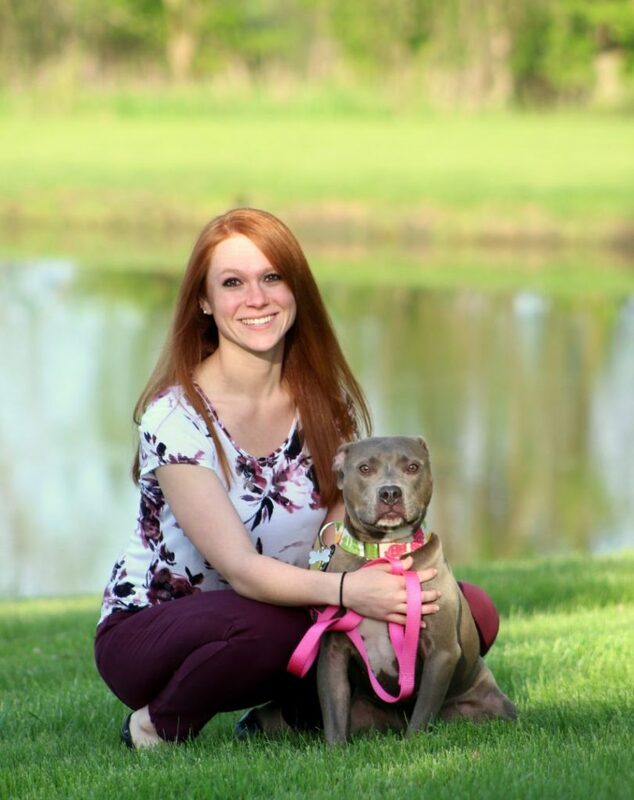 She graduated from Baker College of Jackson in 2017 with an Associates Degree in Applied Science and soon after passed her board certification to become a Licensed Veterinary Technician. 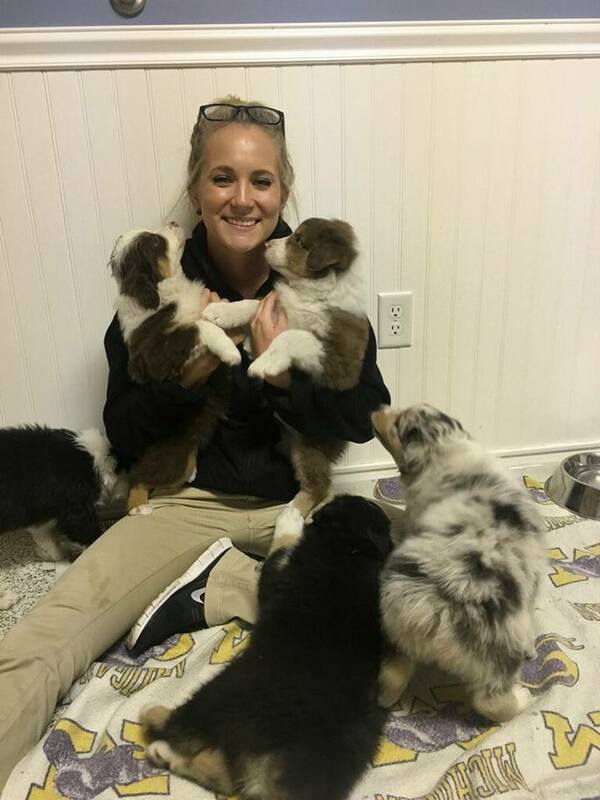 She has always had a love for animals of all kinds, so she is excited to be working in a clinic that sees such a wide variety of patients. Natalie was raised in Dexter, Michigan. 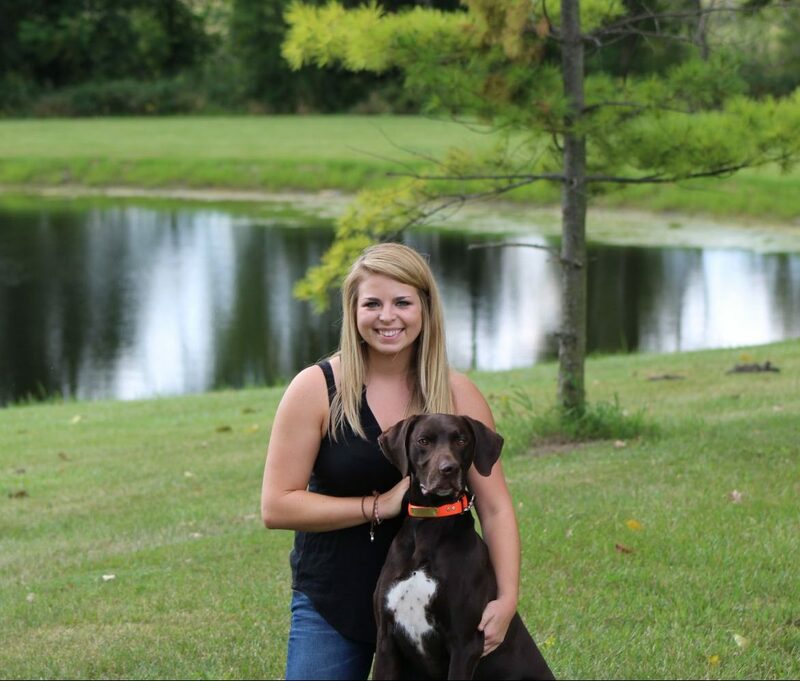 She an her Fiance Evan moved to the Fowlerville area in 2016 with their German Shorthaired Pointer, Duke. When Natalie is not at the clinic, she enjoys traveling up north, cooking and spending as much time as she can with her friends and family! Krisha graduated from Baker College with an Associates degree in Applied Science and received her license shortly thereafter. 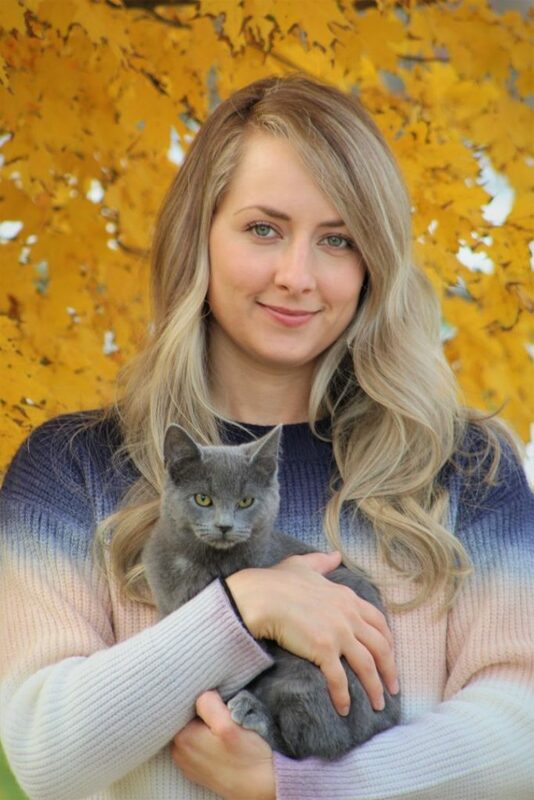 Previously, Krisha worked at a cat clinic for 2 years, but made the leap to Kern Road in the fall of 2018 after her interest in large animal medicine grew. While she loves all species of animals, she currently has two cats: Mya and Uno. 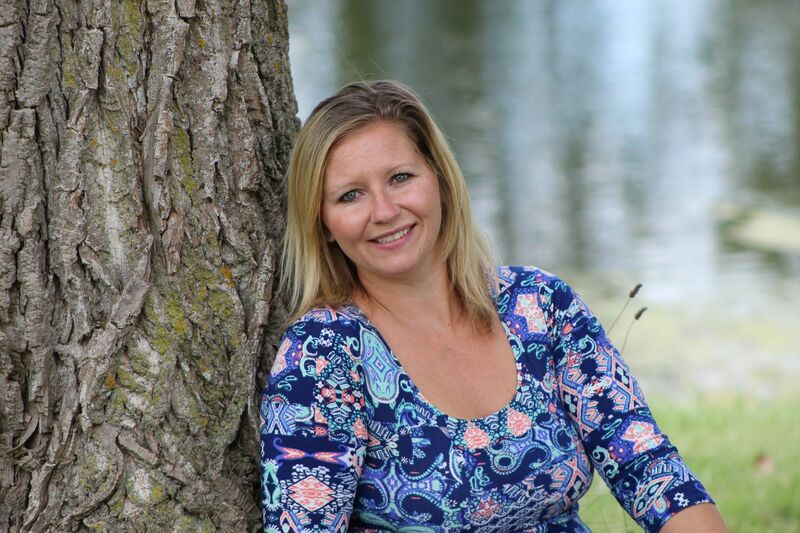 In her free time she enjoys reading, watching reality TV, boating, hunting and snowmobiling. 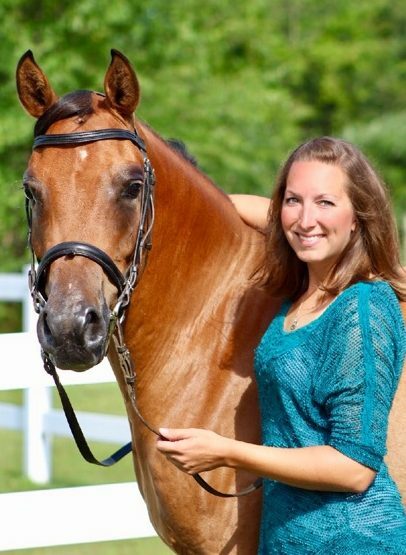 Kelly is a graduate of Michigan State University's Horse Management Program. The last five years have been spent managing a large horse boarding, training and lesson facility in Mason - She has extensive experience in handling/training horses, as well as teaching and riding lessons for all ages. Kelly has now established DoubleStar Equestrian, a lesson and training program for youth and adult equine enthusiasts. There is also a team of competitive riders who travel with their horses to shows all season long. She is excited to be a part of the Kern Road Team! 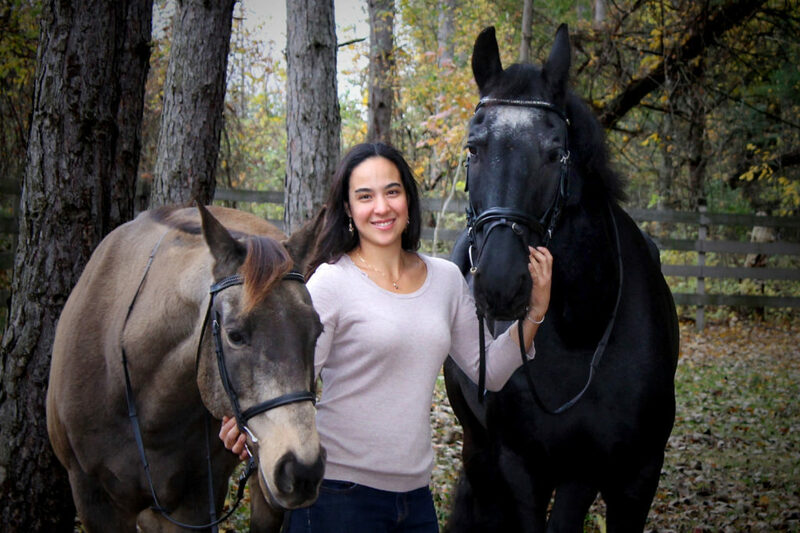 When Kelly is not at the clinic, her time is spent at the farm with her two mares - Ally May & Lilly, her gelding- Zip, showing or getting chased around her house by her tiny cats Dahlia and Thea. Kelsey is very glad to have joined the Kern Road team in 2013. She is currently attending Lansing Community College and hopes to attend Michigan State University. She plans on getting her Bachelor’s degree in Animal Science and would love the opportunity to combine her love of animals with her career. When Kelsey is not at the clinic, she loves heading up north to spend time with family and friends and she loves spending time with her two cats, Bill and Betty and dog Reggie. 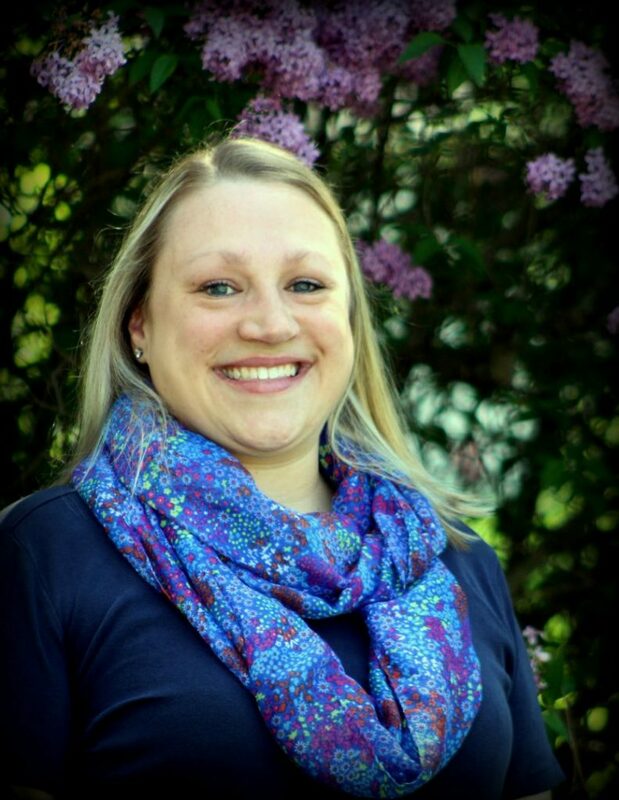 Brittany joined the Kern Road Vet team in spring of 2018. She attended Michigan State University and received her bachelor's degree in Animal Science. 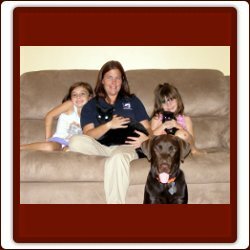 She has 6 years of experience in the veterinary clinic world She is very passionate about client education and high-quality patient care. Brittany lives in Gregory with her 2 dogs Niko (a shepherd mix) and Tuna (a pit bull). In her free time, she enjoys riding and showing horses and working at Aberrant Ales.